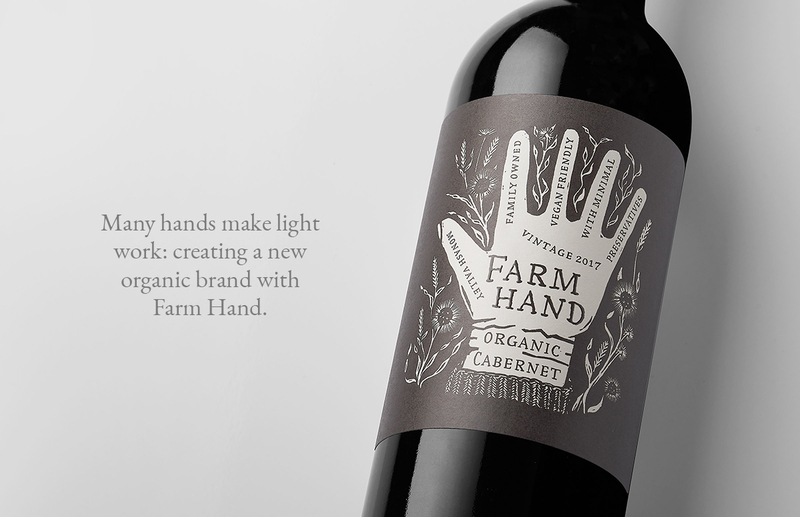 Many hands make light work: creating a new organic brand with Farm Hand. 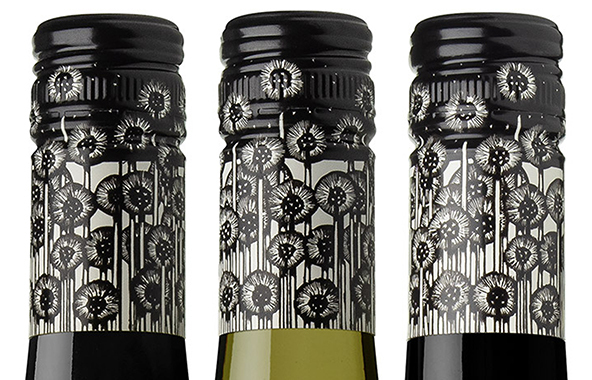 Our client briefed us to create an identity and packaging for a range of organic wines from a family-owned vineyard. 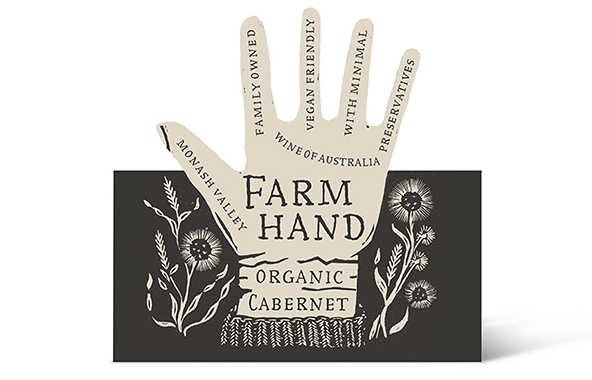 Our brief was to make the brand “from the earth”: to emphasise the farming roots of the family and the organic nature of the wines. 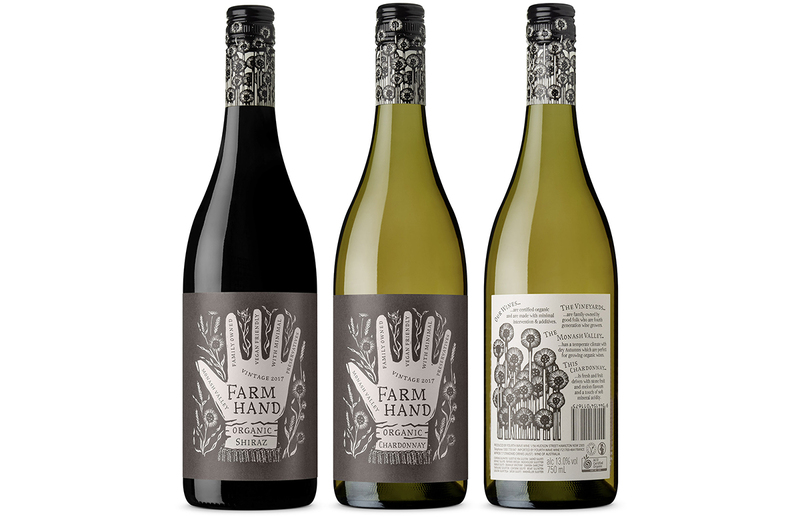 The identity, consisting of palmistry-inspired hand, instantly communicates the organic promise of the wine. 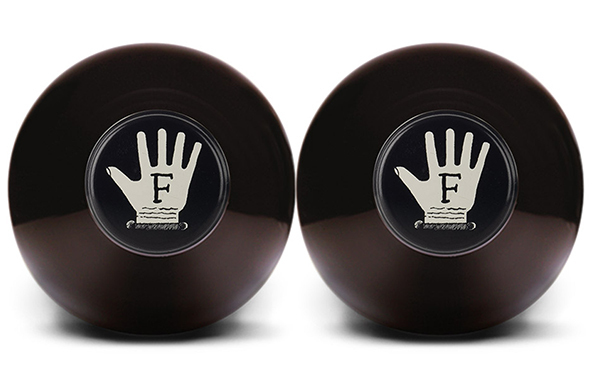 We commissioned artists Helen Maxfield and Michael Torrance to create linocut prints for both the front and back labels. 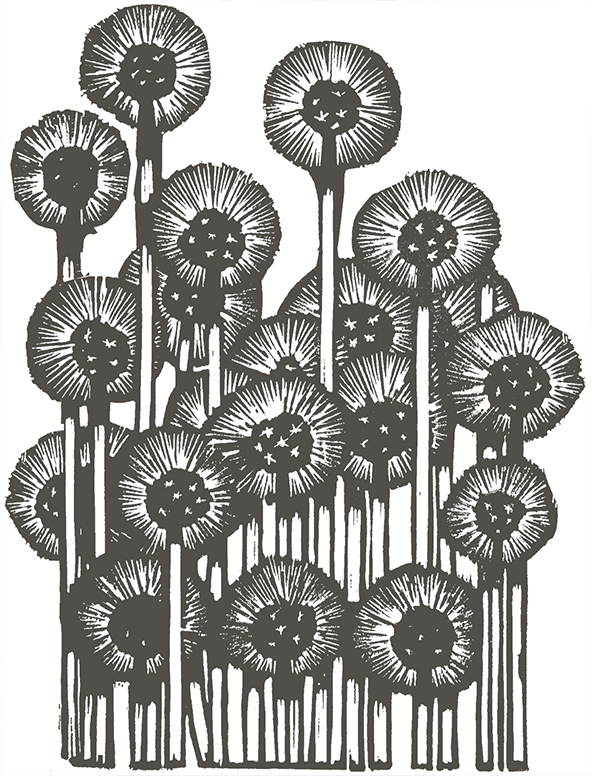 Their beautiful work, printed in a dark brown on thick recycled stock, creates the special sense of nature and craft that we wanted to capture for the brand. 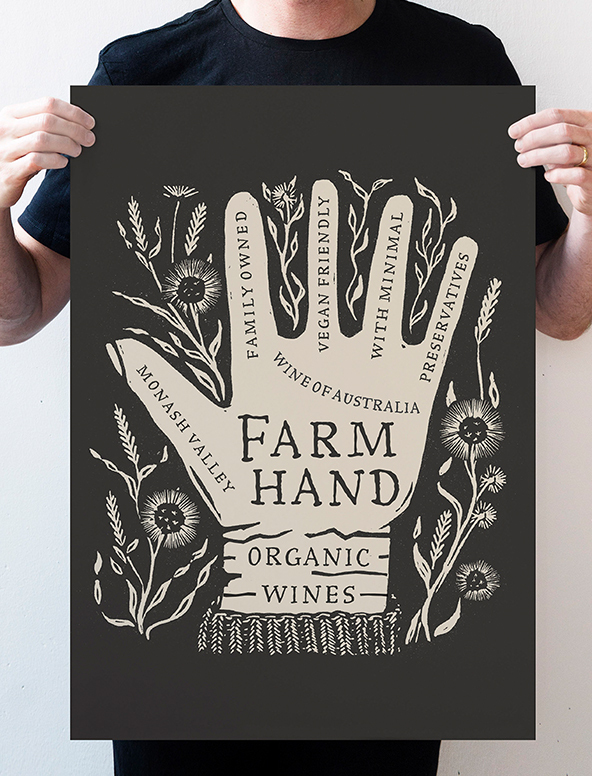 The linocut images translate beautifully across all mediums, from capsules to posters to point of sale, creating a distinctive brand personality and powerfully communicating the organic brand proposition.